Companies generally have a duty to maintain a safe and healthy workplace for their employees, contractors and sub-contractors. Yet, each day, catastrophic accidents occur in the workplace because companies fail to live up to that duty. According to the U.S. Department of Labor, nearly 6,000 workers die each year in workplace accidents. Many more workers are seriously injured each year in non-fatal workplace accidents. Common hazards that arise when companies disregard their duty to keep the workplace safe are falling objects, explosions, slippery surfaces, exposure to harmful substances, and dangerous conditions leading to falls from high places. Also, an overwhelming number of workers whose jobs require either driving or working on the roadway are seriously injured and killed in car and truck crashes. Just as companies have a duty to maintain a safe and healthy workplace, manufacturers of equipment and machinery used by workers have a duty to design and produce safe products. Serious accidents occur because of negligently-designed and manufactured equipment. For instance, workers are caught in or crushed by running machinery, they lose limbs when equipment lacks necessary safety guards, they are seriously injured by falls from malfunctioning forklifts and other equipment, and they are electrocuted from faulty tools or equipment. Whatever the source of the hazard and whatever the nature of the harm, serious workplace injuries are devastating, oftentimes leading to a total loss of livelihood. Dr. Aussprung has vast experience advocating on behalf of catastrophically injured workers, fighting to secure financial stability for workers and their families and demanding that companies carry out their duty to provide safe and healthy workplaces. 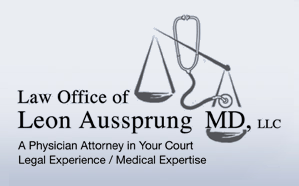 If you or a loved one have been seriously injured or killed in a workplace accident, contact Dr. Aussprung today.